Bianca Andreescu's Racquet - What racket does Bianca Andreescu use? Bianca Andreescu broke through on the big tennis scene when she won the title in Indian Wells after qualifying. Quite a feat! Now she is another name that can compete for titles on the ultra-competitive WTA tour. 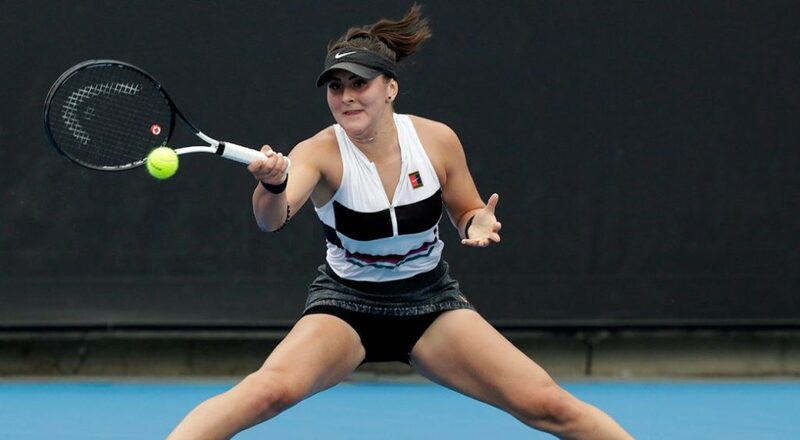 But what is Bianca Andreescu’s racquet? Bianca Andreescu is only 18 years old and currently the top-rated Canadian player. She is sponsored by HEAD and endorses the HEAD Graphene 360 Speed MP (click for Amazon link). I reviewed the HEAD Graphene 360 Speed Pro here, which is an excellent racquet for the attacking baseliner and the MP is quite similar with a more open string pattern and a little less weight. But is the HEAD Graphene 360 Speed Pro really Bianca Andreescu’s racquet? Well, as with most professional players it is hard to know for sure. It doesn’t make sense that they would change racquet every other year so they mostly just endorse the latest model and uses something else. This is called a pro stock racquet and you can read about it here: “What is a pro stock racquet?“. Bianca Andreescu’s racquet looks like an older HEAD Speed racquet and it could be either the first Graphene XT Speed or Graphene Touch Speed for example. According to a stringer on tour, she strings her racquet with Babolat RPM Blast strings at 48 lbs (around 22 kg). 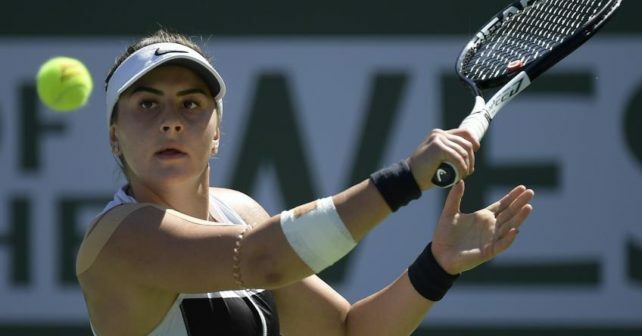 Many pro player racquets (click to find out what other pro players use) are very hard to figure out and that is the case also with Bianca Andreescu’s racquet. It is highly likely an older HEAD Speed racquet, but sometimes you need to be a little bit of a detective to really figure out what racquet she really uses. If you have any clearer insight into this, please e-mail tennisnerdnet@gmail.com and we will update this article. It will be interesting to follow Andreescu’s progress for the rest of the season. Can she back up her fantastic start with a good run at a Grand Slam for example? What do you think? Please comment below. I can’t say I have the least clue as to what her true racket is, but after watching her run in person in Auckland this year, along with Indian Wells, I firmly believe she has the game to become a WTA World #1 and win many Grand Slams. She would have had her first title in Auckland but ran out of steam there after going through qualifying, Venus, Wozniacki, and Hsieh before losing a tough match to Goerges in the finals. The beam shape on her stick is distinctively a speed. Not sure which version, though. Yes, same here. Don’t know which one.